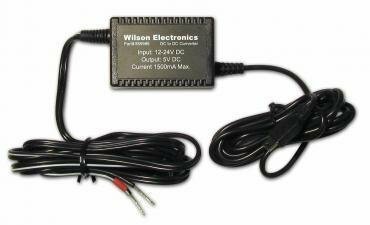 Allows you to power your weBoost and legacy Wilson Cellular Amplifier directly from 12V wiring such as in-vehicle installations or where you want to power the amplifier using battery power. Used to hardwire 5V Mini USB Power Supply Style weBoost and Legacy Wilson Electronics amplifiers. Works with weBoost Drive 3G-S, Drive 3G Flex, Signal 3G 470109, Signal 3G 470209 and comes with Signal 3G Kit 470309.